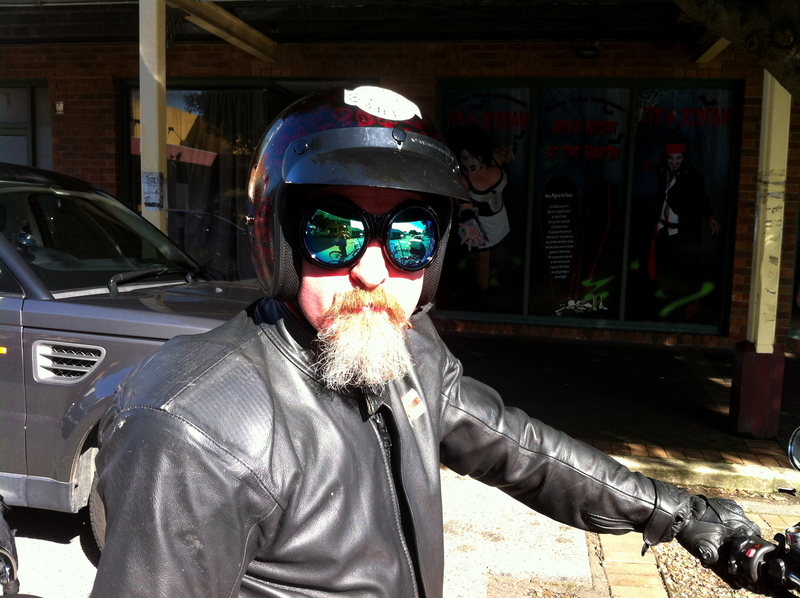 These glasses, which the bikie who was wearing them told me are welder’s goggles, they are perfectly round and you can see my reflection in them, this was taken at the rail gates … he told me where he got them but I don’t remember, he may comment on here and say. 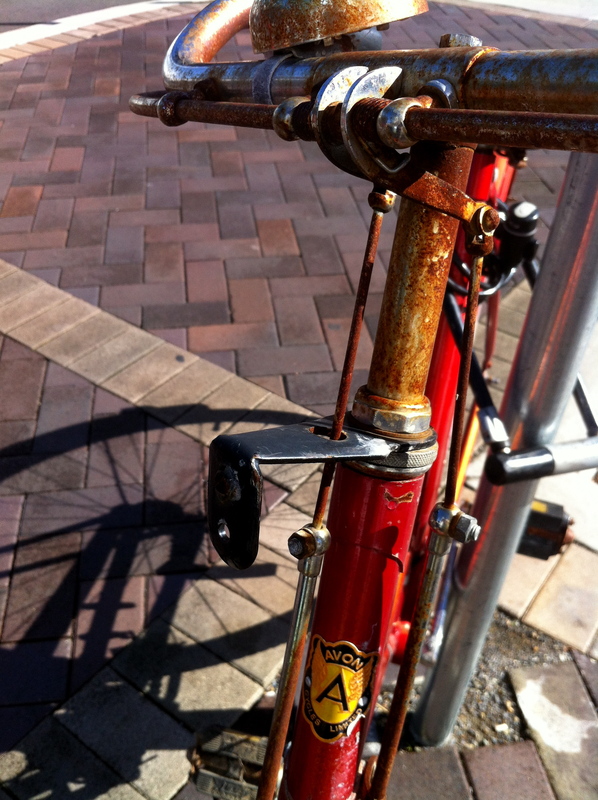 This delightfully restored loopframe … My photos don’t do it justice. 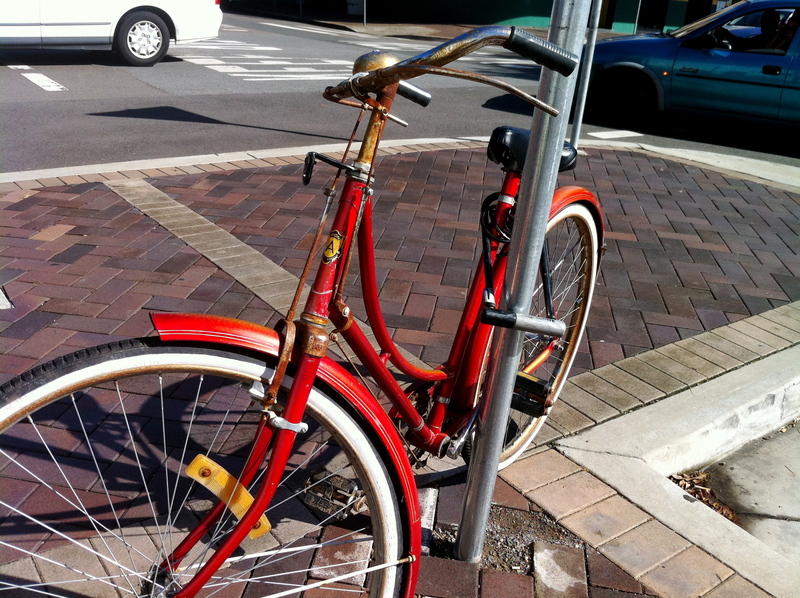 The paint job on the frame, fenders and chainguard is a copper colour with golden highlights which shimmer in the sun, but the patina of rust on many other parts of it has been left intact. 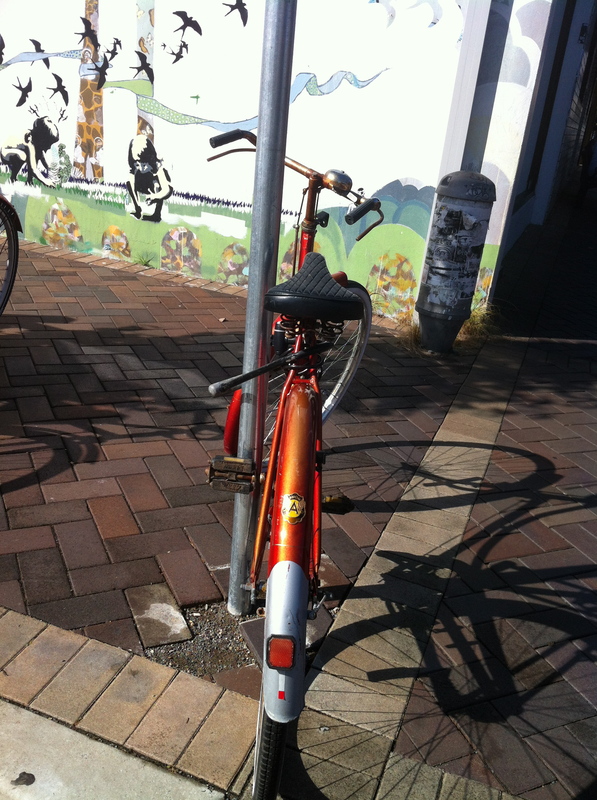 Dutch style handlebars, pushrod brakes, Avon badges … Gorgeous! And see the wonderful mural on the wall behind the bike at Rolador Cafe! 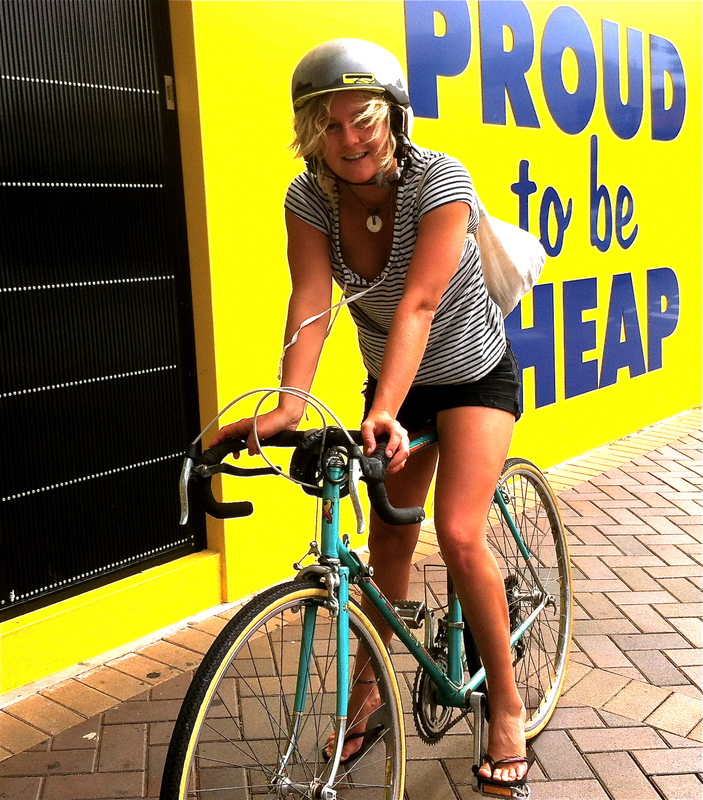 This pale blue “Wayfarer styled by Emmelle” …. I love the white accents on this bike. And this vintage Peugeot which its young rider told me she got from a friend who is a removalist and it was given to her, sometimes the best things in life are free! 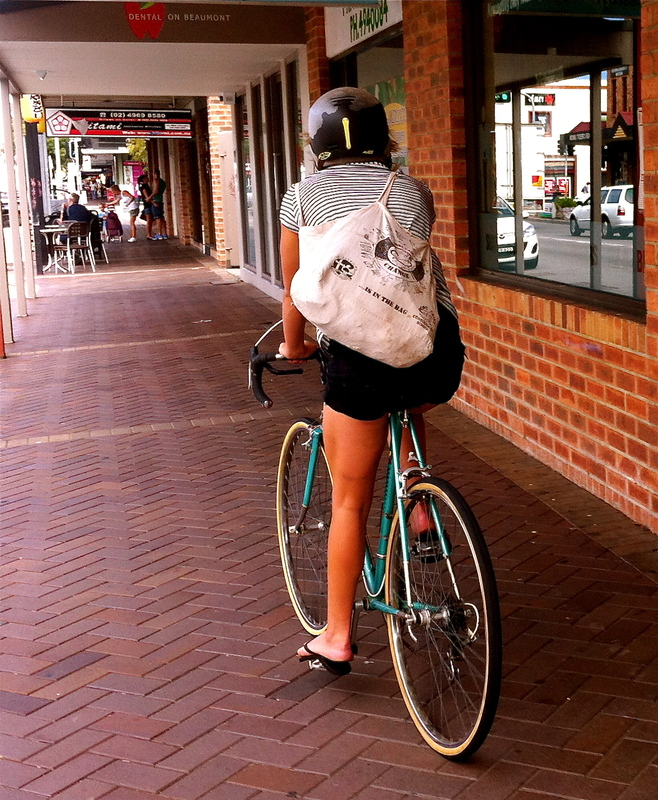 This entry was posted in Art, Street cyclist, Vintage bike and tagged Avon, Beaumont St, hamilton, old bike, Peugeot, vintage, vintage bike, women on bikes. Bookmark the permalink. You find some of the coolest bikes. I’m becoming attracted to loop frames. I’d like to see one with multiple gears and fat tires. I wondered what a “removalist” is? Is it someone who is what we call here in the States “simplifying” or shedding anything from their lives that is clutter? Loop frames are really great, but the modern ones don’t seem to have the top tube going as low down as the older ones do, and that is one of the things I like about them. A removalist is someone who moves furniture and stuff for you when you move house and they often get given things people no longer want. I gave away all my old vinyl records to a removalist and sort of regret it now. 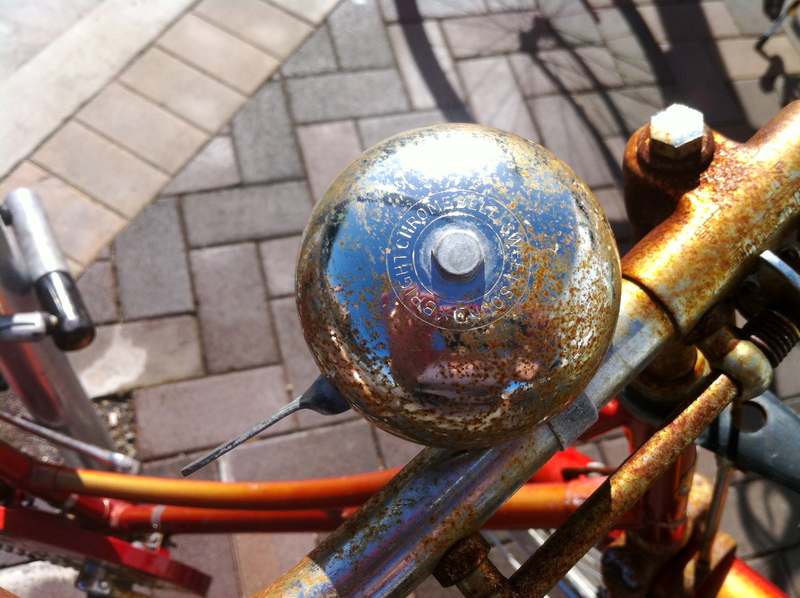 Love the close ups of the restored bike… the rusty textures are brilliant. I agree with you about the rust Steve, it all looked so perfect! Testing….my comments for the last week don’t seem to be getting through to you. my comments are going through. 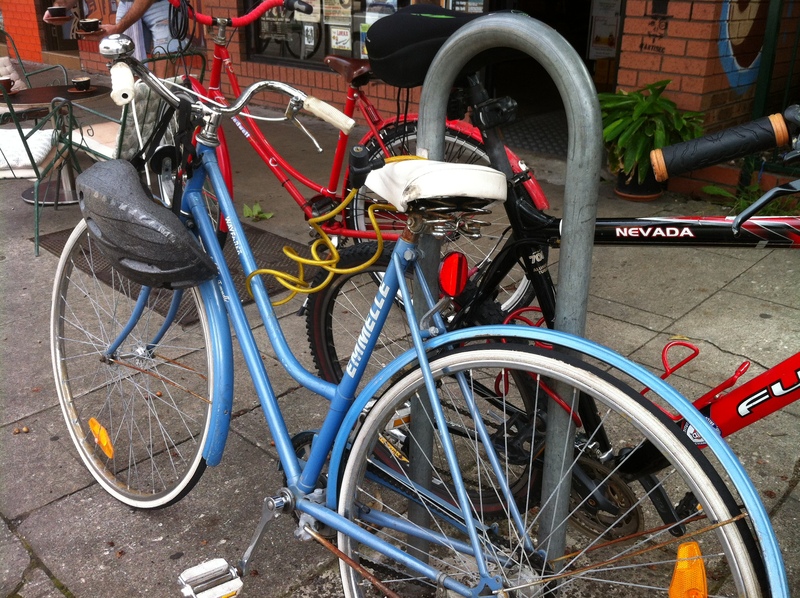 Hi, AN Avon simular to this ( unrestored ) was spotted at the Bike Doctor in Islington. oportunity ?